Comprehensive cost modelling – Clients can now run detailed analysis on how much it will cost to turn a project into a mine. Cost modelling is Mining Intelligence’s most exciting feature. It is Mining Intelligence’s differentiator—functionality that makes it unique within the marketplace. 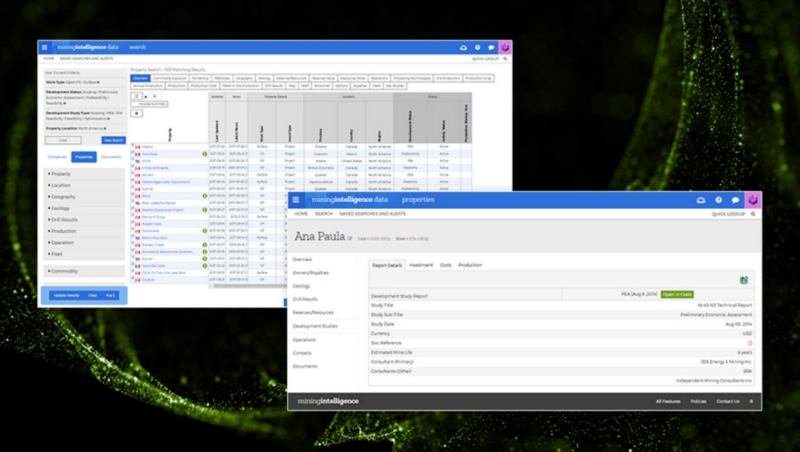 Mergers and acquisitions data – Users can now look up what miners and juniors are acquiring. Automated digital assistant – Mining Intelligence is a technical tool. An automated digital assistant named Quinn acts as a user guide and helps with simple tasks. Mining Intelligence now has cost modelling data. Mining Intelligence branding is built for the future to help make the service the most trusted source for mining industry data in the world. What – Mining Intelligence provides rich mining data that fuels industry insight delivered through online applications and services. Why – To help clients make decisions, be productive and become profitable. 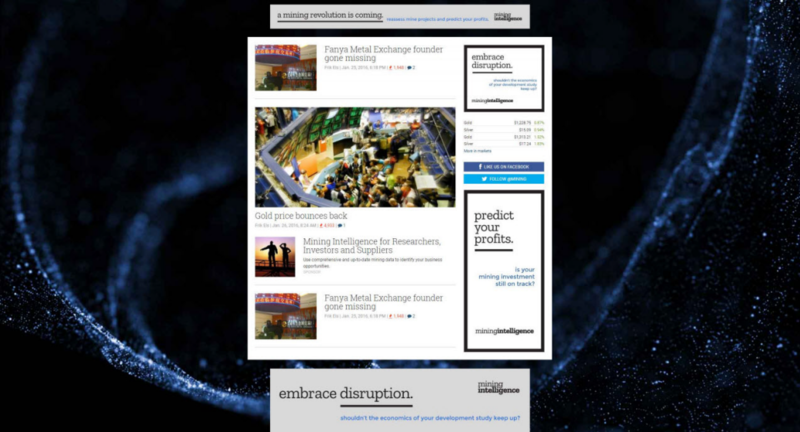 Mining Intelligence’s fall launch was kicked off with a takeover on MINING.com showing the new branding and taglines.